When a marriage is in trouble, many people often think that divorce is the only answer. While divorce may make sense for some couples, it may not be a universal solution for all situations. In this initial article of our two-part series, we will take a look at the difference between legal separation and divorce in the state of Arizona. If you have questions about whether or not legal separation is the best solution for your marital discord, contact Dorris Law Group. We’ll gladly review your situation and provide a free consultation, allowing you to be informed of your rights and the process so you can make the best decision for yourself and your family. Many people mistakenly think that a legal separation is just another term for divorce. In reality, the two terms have very different legal definitions and ramifications. A legal separation allows couples to live apart while still remaining legally married. In the state of Arizona, legal separation can be either a temporary or permanent solution for couples, and may or may not involve court-ordered financial agreements. Many couples choose legal separation as a temporary arrangement while they work to resolve the marital issues at hand. Other couples choose legal separation as a permanent resolution to discord for one reason or another. 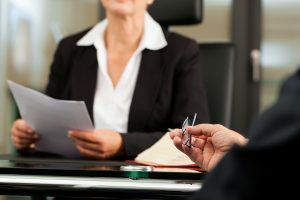 Whether intended to be a temporary fix or a permanent solution, legal separations can still be defeated by either party petitioning for divorce. When Does Legal Separation Make Sense? One of the main reasons a couple may choose legal separation rather than just simply filing for divorce is that they want to take the time and space to work out their differences. 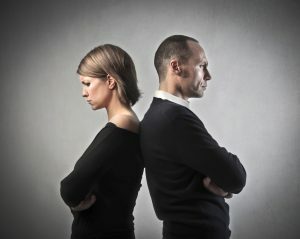 Sometimes, couples find it much easier (and amicable) to undergo counseling or otherwise work on their disputes while living apart. In other cases, if there has been some kind of abuse and/or addiction involved, it may be easier or necessary for one spouse to attend the needed therapy or rehabilitation in the absence of his or her spouse. Other times, there may be extraneous factors as to why a couple may agree on separation instead of divorce. For example, many religions do not allow or frown upon divorce, and so a legal separation may be the only option for a couple. In other instances, one spouse may be dependent on the other for a variety of reasons, ranging from health insurance to social security benefits and/or declining health. Just as every marriage is different, so too are the reasons for legal separation. At Dorris Law Group, we understand it can be challenging to navigate the legal landscape of separation and divorce on your own. In our next article, we’ll take a look at some questions we frequently hear with regard to legal separations. In the meantime, to speak with our expert team of lawyers, contact our office at 520-622-4866 or fill out the form below.